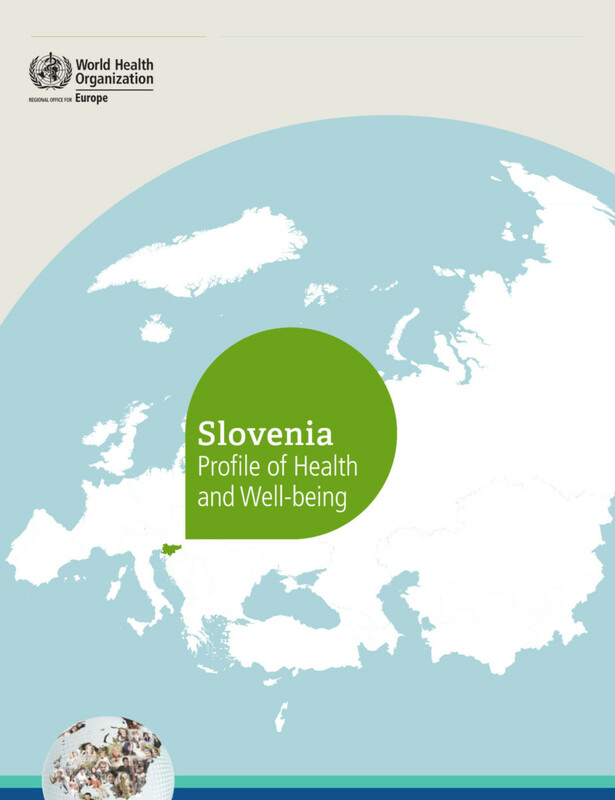 This publication, the second in a new series of profiles of health and well-being, presents an analysis of the state of and trends in health in Slovenia. While improvements in life expectancy and mortality in the country have been rapid since 2000, the most recent rates remain below the average for the countries belonging to the European Union (EU) before 1 May 2004 (EU15). Declining infant and maternal mortality rates are driving these improvements in life expectancy, in conjunction with decreasing mortality rates from diseases of the circulatory system, infectious diseases, diseases of the respiratory system and diseases of the genitourinary system. Motor vehicle traffic accident deaths have also decreased rapidly in recent years. In contrast, mortality from cancer and diseases of the digestive system, especially chronic liver disease and cirrhosis, is higher in Slovenia than the average for the WHO European Region. Improved trends have been observed for 12 out of the 19 core indicators for the targets of the Health 2020 policy in Europe, and deteriorating trends have been noted for four: alcohol consumption per capita, prevalence of overweight, the unemployment rate and private household out-of-pocket expenditure on health services. Profiles of health and well-being give an overview of a country's health status, providing data on mortality, morbidity and exposure to key risk factors and showing trends over time. The WHO Regional Office for Europe develops them in collaboration with European Member States. When possible, each report also compares a country to reference groups: the WHO European Region as a whole and the EU15. To make the comparisons as valid as possible, data are as a rule taken from one source to ensure reasonably consistent harmonization. The data in the report are drawn from the Regional Office's European Health for All (HFA) database. These are collected from Member States annually and include metadata that specify the original source of data for specific indicators. The findings in the profiles are summarized in brief highlights publications.